If you have lost your natural teeth because of disease, decay, or injury, Dr. Lalonde may suggest dentures to replace them. Missing teeth cause many problems. Without underlying structure for cheeks, your face can look sunken and old. Missing teeth also promote movement of other teeth, which will destroy a good bite and could lead to TMJ pain. Eating, speaking, and smiling in public can all become problems too. To restore your smile and oral function, Dr. Lalonde will first take measurements and make jaw models for your custom dentures. A ceramist at a dental lab will fabricate your new, lifelike dentures according to our design and send them to our office. When you return for your new dentures, Dr. Lalonde will make modifications to ensure a secure, comfortable fit. You may need to visit us periodically for minor adjustments, as well. Enjoy improved function, appearance, and comfortable chewing with custom dentures. You deserve a strong, fabulous smile. 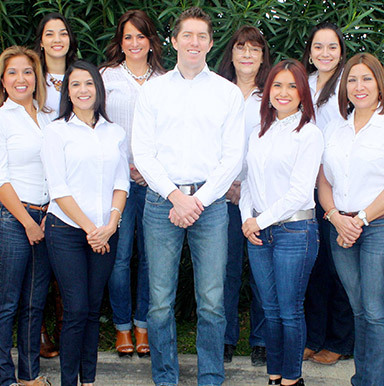 Call our Los Fresnos dental office to schedule a consultation and learn more. We are conveniently located for Port Isabel, South Padre Island, Brownsville, Bayview and San Benito residents.